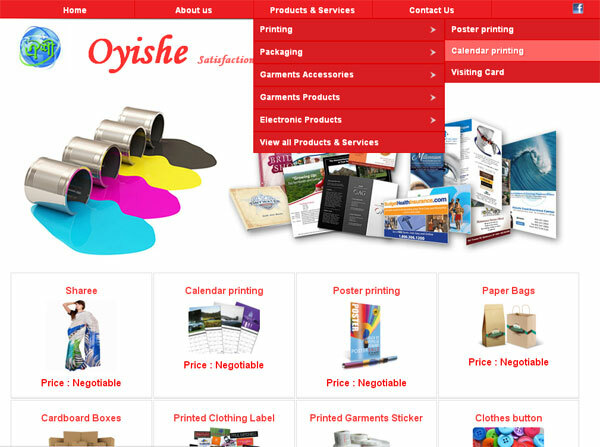 Oyishe is a well known printing and packaging company. We are in this business since 2002. We are reputed for our punctual and quality service. Our Services include designing and printing - farces seal, auto seal, emboss seal, gala seal, graphics design, cash memo, business card, money receipt, poster, PVC, screen print, offset print, digital ID, digital banner etc. We can design and print anything you need to print.